We empower the expressiveness of your voice, making you sound like you always wanted. Your voice will be important even if you don't sing or act. How many speeches will you keep during your school or work career? A New voice for a greater success. Before teaching others, new knowledge must be acquired by reflecting on those already known by everyone else. 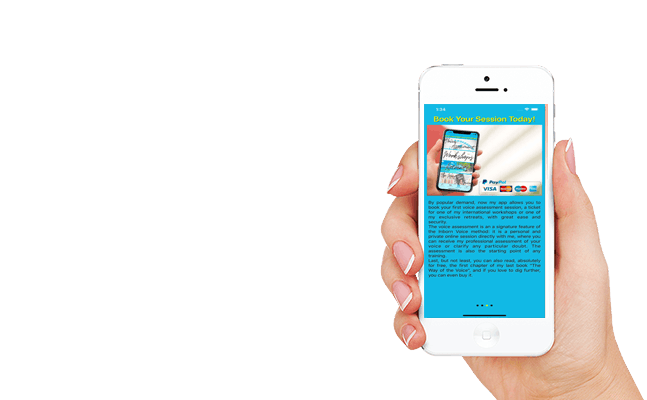 First I want to thank you for visiting Inborn Voice website. You have probably already read or heard many of my ideas, maybe in the book I have published or on some website, as I previously worked in Italy. This is, is in any case, a good thing because the first step to getting the right knowledge is reviewing the concepts taken for granted, in the hope of being able to understand them in their essence more intimately. I will try once again to put the emphasis on how to properly learn to use your own vocals and restore them to their natural expressive state. The frenetic lifestyle of modern society in which we live brings us to ignore the best things in our lives including vocals, often at the expense of health, time and money. The philosophy of my method is tied hand in glove with the technical aspect of speech: it could not be otherwise! There is a link of continuity, profoundly unbreakable, between these two elements: exactly like Yin follows Yang according to the fundamental principle of Taoism. Here on the left and the top of every page, you will notice a registered trademark of Inborn Voice, which refers to the very symbol of Eastern Tao. I chose this symbol because the philosophy that supports my method helps you understand the technique and vice versa. In other words, without the right philosophical approach you cannot figure out for yourself whether the vocal technique is correct or not, making every course or lecture unnecessary. Only by following the right approach can you find the perfect harmony between ourselves (i.e. the sender of the message) and those who listen to us (who receives the message). How many people do not recognize their own voice? This is one of the crucial points where you can flourish the success or failure of any vocal training. Sometimes you have a whole series of vocal problems, from hoarseness to the continual sore throat, but no one stops to consider that perhaps all is due to the fact that we do not recognize more our own voice. This can happen in many ways, but essentially there is always an imbalance between self-perception in the unconscious, the self-perception of the outside world in reality and parts of their personality that were removed during their physical and mental development. Without going into boring detail, I would like to emphasize the meaning of the word method: often people use it inappropriately, thinking of something else. The dictionary gives several meanings, all suitable for my purpose. 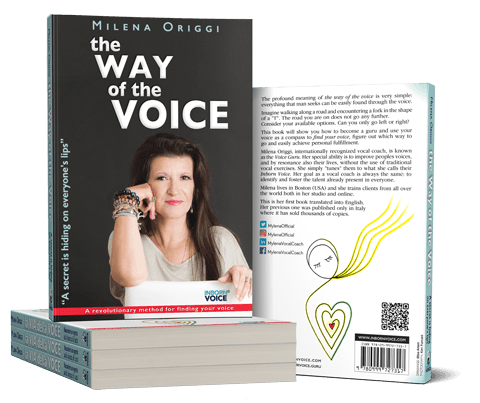 Firstly it says the "Process to ensure the satisfactory result of a job": here the essence of the Inborn Voice method can be seen, namely to ensure the maximum satisfaction of the person who entrusts themselves to his own voice and to their Vocal Coach. Secondly, it says "Logical and mental structure with which a problem is solved" this meaning is also useful to the understanding of a method. It is clear that it is necessary to have a philosophy that guides the entire training course to ensure the solution of a vocal problem. More and more often, I meet people who come to me to solve vocal problems made after being taught previously by someone else. Thirdly, it says "exercises designed to simplify learning": this is the meaning that everyone unconsciously gives to the word method, but as you have seen this is only a small part, which has the goal of simplifying what should be learned, not specifying the thing. As you will discover by reading the entire site, it is even more important to eliminate bad habits and incorrect learning. 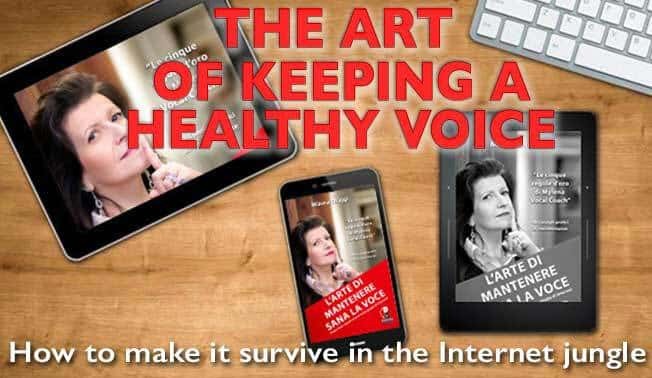 Many of the naturally expressive capabilities of our voice are re-discoverable by eliminating the errors present, so as to restore full mobility of the vocal tract and obtain perfect elasticity of the vocal chords. Just returning to using your own innate voice will make you revive your own natural personality to the full range of shades that were already present at birth. 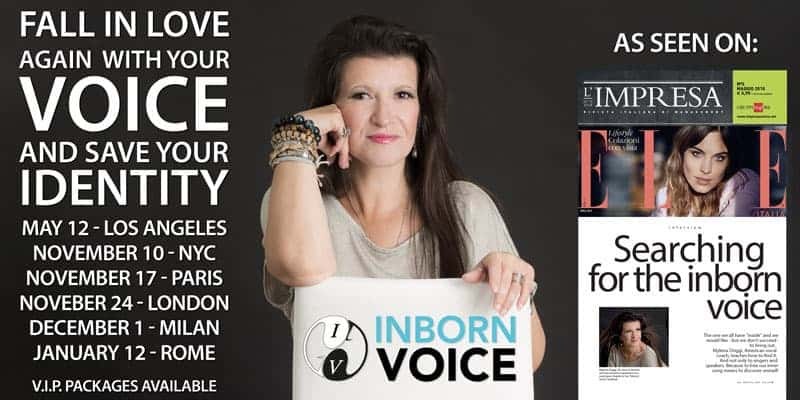 My method, Inborn Voice, the innate voice, reflects the real you and makes it obvious even to the others, eliminating any illusion or mask, making your personality and charisma blossom. This step can seem hard to understand, but after reading this your view of things will change and you will begin to understand that most of the problems you encounter every day are caused by the incorrect use of your vocals. On the other hand we must not forget that everyone is forced to listen to their "own" voice every moment of their life, even while only thinking in their head: in abstract terms the voice is none other than our internal vibration, the one on which resonates. Not recognizing your own voice is a serious problem that must be solved at all costs.